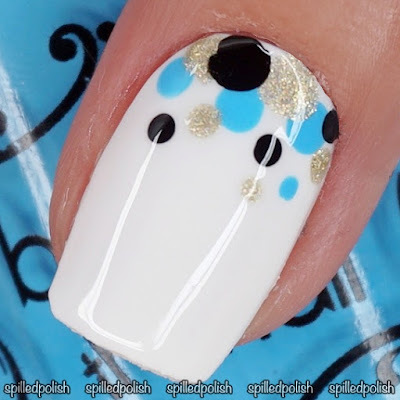 It's day 11 of The 31 Day Nail Art Challenge and today's challenge is Polka Dot Nails! I started by painting my nails two coats of Beyond the Nail - Bright White. I got a dotting tool & applied dots to the tops of my nails using Beyond the Nail's High Tide, Deep Black, & Angel. I topped everything off with one coat of PRO-FX - Quick Dry Topcoat.